For new video of Mr Ong performing 28 step Yang Style Form click here. 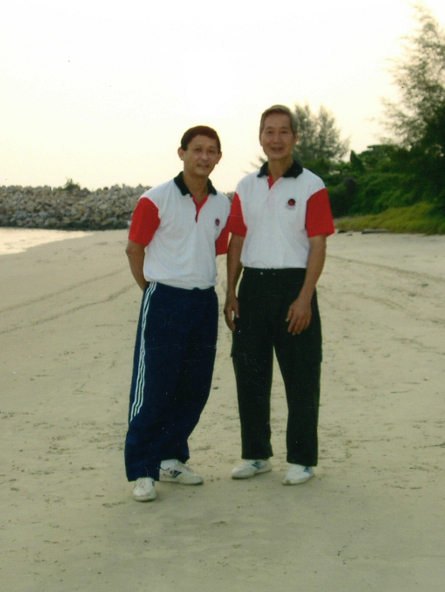 If you are new to Phoenix Tai Chi Chuan and are looking for information about classes in our North West London training venues, please click here. Tai Chi Chuan, a form of martial art is fast gaining popularity as an excellent system of training for health and general wellbeing. The slow, graceful and gentle pace is ideal for everyone, whether the training is for health or self-defense. Tai chi is practised slowly to allow the practitioner time to develop their balance and carefully analyze, as well as put feeling and focus into, the movement. It also makes it easier to recognise and correct errors in posture. Although most of the forms in Yang style are performed slowly, changes in speed are often used in foundation training exercises, the training of applications, and in Chen Style forms during the release of explosive power (Fa Jing). Both aspects are necessary to fully understand the martial aspect of Tai Chi and to use it for self-defense. "A TRANQUIL WAY OF STAYING HEALTHY, BRINGING ABOUT PEACE OF MIND AND CONFIDENCE."